SALT LAKE CITY – Huntsman Cancer Institute (HCI) at the University of Utah (U of U) has been selected to participate in the Beat AML Master Trial, an innovative clinical trial sponsored by The Leukemia & Lymphoma Society (LLS). The clinical trial is testing several new targeted therapies for the treatment of patients with acute myeloid leukemia (AML). HCI is the only facility in the Mountain West offering this trial to AML patients. AML is a type of blood cancer that begins in the bone marrow and, in most cases, progresses rapidly if not treated. According to the National Cancer Institute, in 2018, more than 21,000 individuals will be diagnosed with AML in the United States and approximately 10,650 will die from the disease. Although several new drugs were approved for AML in 2017, most current treatments for AML are based on principles developed 40 years ago. The clinical trial intends to provide significant improvements to the standard care for this disease based on the use of molecular screening for treatment selection. 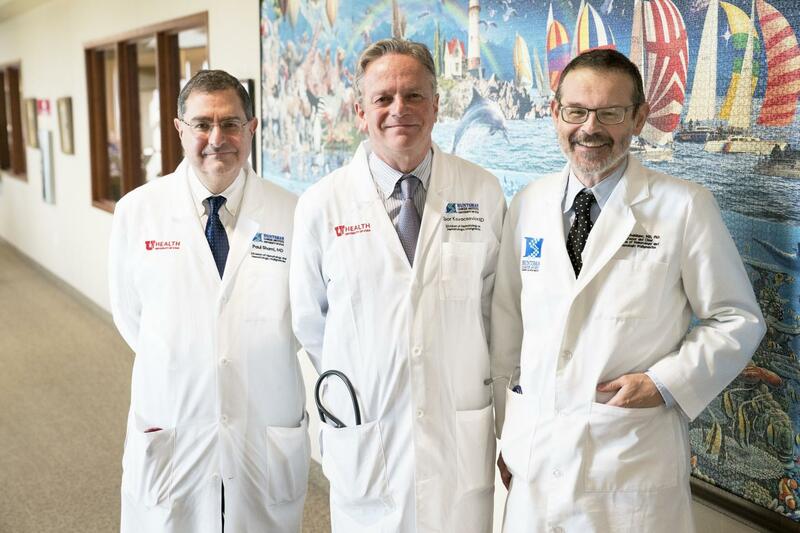 "This dynamic study aims to revolutionize how we treat patients with AML," said Michael Deininger, MD, PhD, chief of Hematology and Hematologic Malignancies at the U of U and senior director of transdisciplinary research at HCI. "By design, this trial will speed up the process of finding better AML treatments through the development of multiple, tailored therapies based on the individual genetic makeup of each patient's leukemia." Deininger and his HCI collaborators, Paul Shami, MD, and Tibor Kovacsovics, MD, will oversee the clinical trial at HCI. The key innovation of the Beat AML study is to obtain a comprehensive genetic screening within seven days or less, and then select each patient's therapy based on her or his individual profile. In the past this was possible only for one or two genetic features, limiting targeted therapies to a minority of the patients. With the Beat AML trial, personalized therapy will become a reality for most patients. "HCI's participation in this trial acknowledges our extremely well-organized collaboration, deep expertise in leukemia biology and treatment, and our proven track record of translating research into new clinical trials for patients," noted Deininger. The Beat AML trial hopes to recruit 500 patients nationwide and includes participation from eight academic medical institutions, including Memorial Sloan Kettering Cancer Center and The Ohio State University Comprehensive Cancer Center; pharmaceutical companies; and a genomics provider. Interested patients can find study information, including general eligibility criteria, here. The Beat AML trial concept was developed in alignment with the National Cancer Moonshot Initiative.